This whole leg of Serrano ham has been carefully deboned for ease of slicing. The pigs selected are carefully chosen to be of a certain weight and body type to ensure the best distribution of fat throughout the muscle. 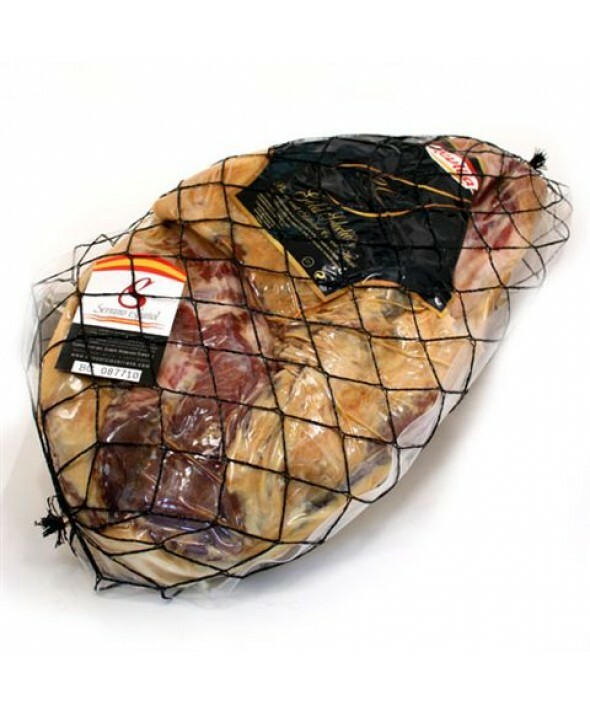 Pigs with the best of these characteristic are carefully selected for these premium, 20 or 24 month dry-cured serrano hams. The legs are then cured along traditional guidelines to maintain this Gold Standard of Serrano excellence. The initial curing takes place in winter, when the low temperature and low humidity help ensure a long-lasting cure. Rubbed with pure, coarse sea salt, the curation process is carefully monitored in the Extremadura and Castilla-Leon regions of Southwestern Spain. Only after twenty months do these hams reach the proper level of texture, taste, and aroma to be considered Serrano Hams. This whole leg of Serrano ham has been carefully deboned for ease of slicing. The pigs selected are carefully chosen to be of a certain weight and body type to ensure the best distribution of fat throughout the muscle. 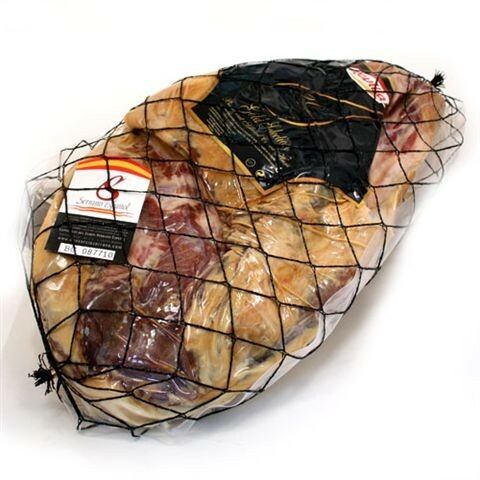 Pigs with the best of these characteristic are carefully selected for these premium, 20 or 24 month dry-cured serrano hams. The legs are then cured along traditional guidelines to maintain this Gold Standard of Serrano excellence. The initial curing takes place in winter, when the low temperature and low humidity help ensure a long-lasting cure. Rubbed with pure, coarse sea salt, the curation process is carefully monitored in the Extremadura and Castilla-Leon regions of Southwestern Spain. Only after twenty months do these hams reach the proper level of texture, taste, and aroma to be considered Serrano Hams.